Orange County Animal Services’ seventh annual Barktoberfest event is right around the corner! This is the shelter’s rescue appreciation event that serves to celebrate the partnership between OCAS and the rescue community. Orange County Animal Services’ seventh annual Barktoberfest event is right around the corner! 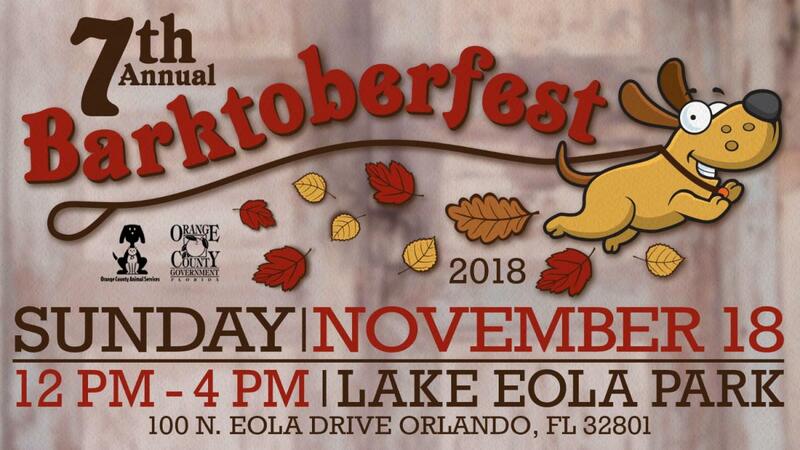 Barktoberfest is the shelter’s rescue appreciation event that serves to celebrate the partnership between OCAS and the rescue community. Animal Services currently works with more than 100 rescue groups across the state that aid in the recovery and adoption of homeless animals. Many of these pets will be present at Barktoberfest and available for adoption through the individual rescue groups. Pet-related vendors are welcome and anyone interested is encouraged to read more at http://www.ocnetpets.com/GetInvolved/Barktoberfest.aspx.